Looking to introduce some classic, wholesome, old-school fun but weary of your faultfinding, easy-to-bore, technology-obsessed kiddos? Have no fear, the pogo stick is here! This jumping device may be more than century-old but don’t be fooled, modern pogos are a whole different breed. Carefully engineered, they go way higher and ride more smoothly than their ancestors. What hasn’t changed is their ability to get kids fit while having fun. They can be enjoyed by children, teens, and adults alike. And, if your kid is competitive, then they can take pogoing to extreme levels with stunts and tricks. What are you waiting for? 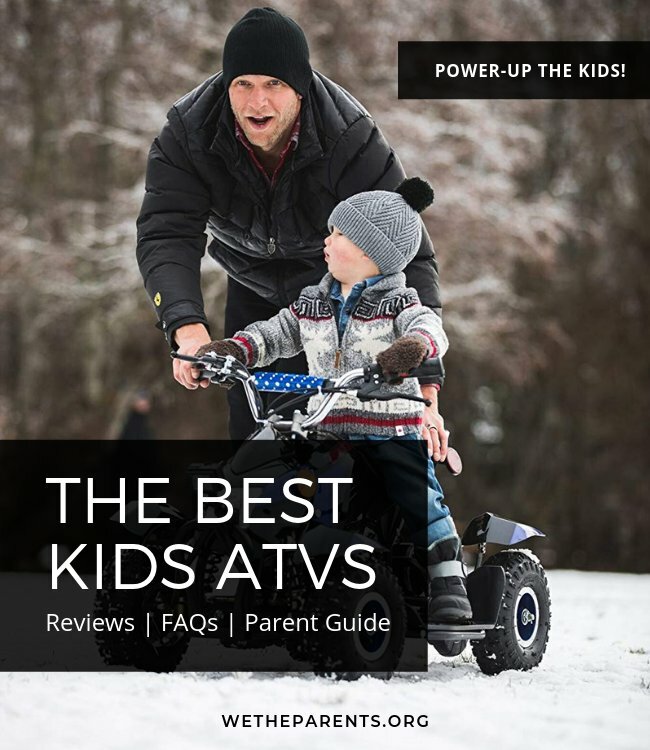 Jump right in and use our comprehensive guide to pogos to help you select the best pogo stick for every member of the family. The Flybar’s time-tested design and stylish foam padding make the Foam Master an obvious choice for our Top Pick. Not to mention, it comes in seven different playful color schemes, making it the perfect choice for homes with multiple children. Flybar was founded by Ger Hansburg, the inventor of the pogo stick, and remains the world’s leading manufacturer of the toy. Their foam-padded version of their celebrated device features a wide bounce tip for extra stability and confidence-building and is wrapped in a top-to-bottom foam casing for more cushioned blunders. What’s more grippy foot pedals provide a slip-resistant base and textured grips give little ones a reliable place their paws. The foam padding not only prevents the metal contraption from nicking your child, it helps maintain the visual and structural integrity of the product. After all, when you first learn to pogo, dropping it to the ground is a rite of passage. Plus, its saved countless parents from stubbed toes, sore knees, and other injuries that have come to be expected when helping their wobbly offspring mount a topsy-turvy plaything. While we recommend a springier model for pogo newbies, budding bouncers will take off on this smooth, stable stick. What we love: Flybar is the leading manufacturer of pogo sticks. After 100 years of innovation and improvement, you can bet they’ve produced a superior product. Watch out for: The spring is super firm. It takes at least 80 pounds to achieve a high bounce but offers prolonged fun for growing boys and girls. The foam-covered metal frame, fully enclosed spring, nonslip foot pegs, and slender center pole make this the perfect pogo for kids 9 and under who are looking to learn the art of stick bouncing. We’ve already exclaimed our love for Flybar products, but let us press on with yet another sensational stick. Their Maverick is a rugged starter pogo that features an ergonomic design embraced by children and adults alike. This sturdy platform is extremely popular and inexpensive. When it comes to the Maverick, you don’t need to worry about your child getting injured on a moving part, as fully encased foam covers provide a soft, resilient buffer. What’s more, while the footpads are set widely apart, the extra narrow center pole prevents scuffed knees and cramped legs. Like all Flybar products, the Maverick features a slip-resistant rubber base cap and skid-free foot petals to help your young one land higher, more complex bounces with poise. What’s more, this product comes in a wide range of color schemes. If you’ve got more than one pogo stick enthusiast in the house or need to outfit an entire team, this can help with deciphering between owners and keep you from defacing yet another toy with black Sharpie. What we love: This child-sized pogo offers less resistance and compact parts that are designed for smaller, lighter bodies. Watch out for: Wet environments can lead to premature wear and rust of the Maverick. Keep it stored indoors between use. A quick note: If money is no object, then the best pogo stick on the market is the Vurtego 4 (see below). But assuming that you don’t want to spend too much, then the Super Pogo is hands-down the best pogo for older kids and teens. The Super Pogo is a solid metal pogo that is ideal for teens looking to conquer extreme jumps and maybe even attempt a few technical tricks. Flybar’s Super Pogo is an elite spring-loaded jumper designed for individuals who weigh between 120 and 210 pounds. It features a sleek, retro frame with an exposed spring, skid-free nitrile rubber tip, wide foot pedals, and curved handlebars. The compact structure is easy to store and transport, making it a go-to option for on-the-spot entertainment and tests of endurance. Bring it to the park, school, or use it to pass time while loitering in your parent’s driveway. For teens looking to defy Newton’s laws of gravity, the Super Pogo will lift them well off the ground and allow them to land without any hiccups. The stick also offers a dynamic and addicting way to burn calories and release extra energy, yet it hardly feels or looks like your typical workout equipment. A word to the wise, steer clear of thieving adults who will want your new “toy” all to themselves when they catch wind of your jubilant jumping. 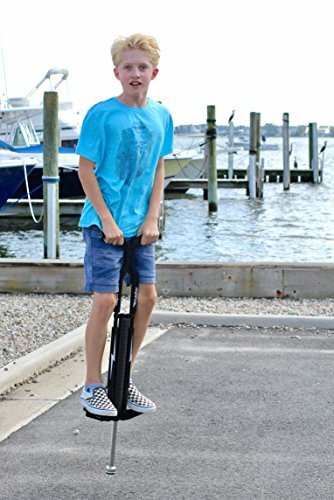 What we love: For the price, this is a solid, resilient pogo stick that is the perfect height and weight compatibility for teens. Watch out for: The rigid metal frame can land you some painful blunders if you don’t take it slow while learning the ups and downs of pogoing. The extra large removal base and alternative “professional” tip help kids develop confidence and balance easier while working on their jumping skills. The Grow-to-Pro pogo is a traditional spring-loaded pole with its own version of training wheels. A removal wide plastic base prevents young children from being discouraged as they develop their lower body strength and master the coordination it takes to teeter atop a wobbly stick. The device is designed for children between the ages of five and eight. The extra wide foot platform, sure-grip handles, and skid-free base ensure safety is the number one priority as your child explores a zany new way of getting out their sillies. This is the perfect pint-size version of the pogo stick to accompany a ricocheting parent or caregiver. This pogo features a bright blue orange, and green color scheme that young children will adore. Meanwhile, parents will be happy to learn that the spring is fully encased. Meaning, you officially set aside your worries about torn clothes and scraped knees. What we love: Interchangeable bases allow your child to graduate platforms with confidence. Watch out for: Children may need adult assistance in pushing down the rigid spring. If you’re ready to take your pogoing to new heights, the Vurtego V4 can literally take you there. As a matter of fact, it’s already succeeded in helping break nine Guinness World Records. They don’t call this pogo stick the portable trampoline without good reason. It features an adjustable air chamber that helps bouncers get up to 10 feet of air. That’s enough to pull off front flips, backflips, stair grinds, supermans, and any other crazy pogo tricks you have up your sleeves. Of course, the tension can be adjusted by simply adding or subtracting air pressure with a standard bicycle pump. This way the same pogo stick can be adjusted for one to two foot jumps suitable for children to high-tension moonwalking fit for the pros. The V4 comes in three sizes, which include small (5’5″ and under), medium (5’6″ – 5’11”), and large (6’+). They feature premium parts, such as lizard skin grips, aluminum cylinders and foot pegs, and stainless steel shafts. What we love: Adjustable air pressure make this a one-size-fits-all pogo stick that allows well-trained athletes to cook up some fantastic tricks. Watch out for: Be prepared to pay copiously for this premium product. The original pogo has ported into the modern age with style and top engineering. It features several bright colors and parents will savor the added layer of protection from its foam padding and spring encasement. What is a pogo stick? A pogo stick is a spring-loaded device used for jumping off the ground in the standing position. The modern pogo was patented by German inventors, Max Pohlig and Ernst Gottschall, way back in 1920 (InterExchange). Not long after, an inventor by the name of George B. Hansburg added two handles, solidifying what we know as our everyday pogo. Finally, manufacturers, such as Flybar and Vurtego, began mass-producing the device, putting their own innovative spin on it, and advertising it to children as an entertaining pastime. While some people restrict the use of a pogo to a simple but aerobic up and down bounce, others have adopted the device as a means for extreme sports. Xpogo is a competitive pogo sports team that entertains crowds by performing record-breaking stunts and tricks on extreme pogo sticks. 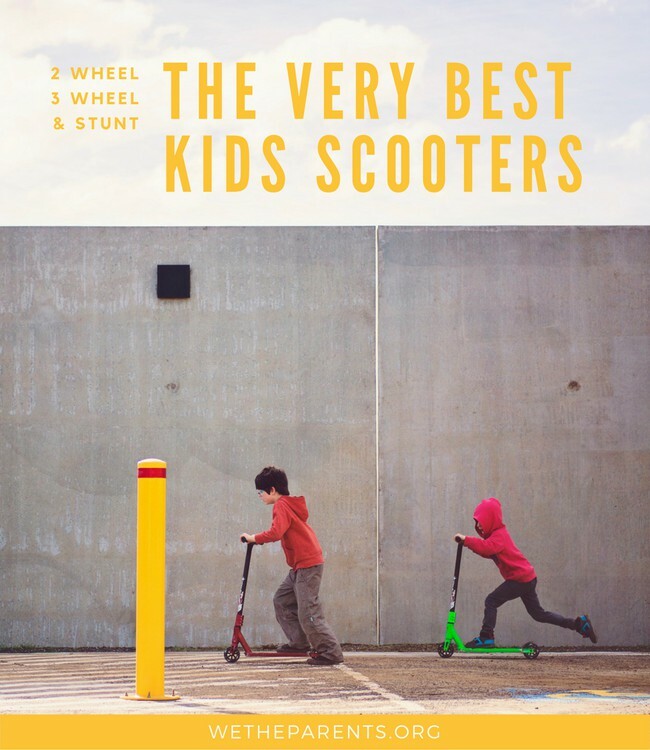 What should I look for when buying a Pogo Stick for my Kid? Pogo sticks are designed to allow children to jump up and down while in the standing position. 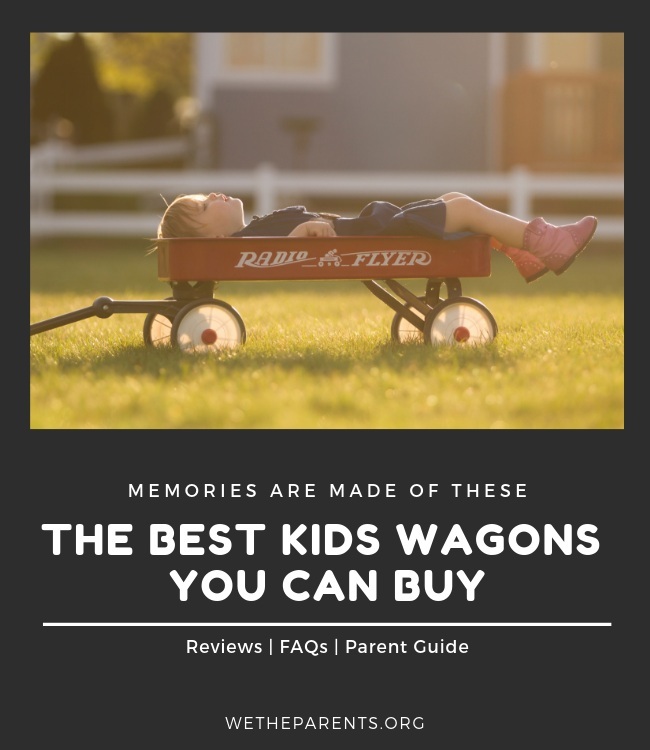 Children must be able to step onto the footpads, grab the handlebars, and use their upper body and legs to thrust downward, engage the spring, bounce, and land. It sounds easy, but it takes time, effort, and a quality product to work your way up to more complicated tricks and years of practice before you’ll ever want to consider challenging a world record or attempting a backflip. Pogos are designed to be an extension of the body, but they aren’t one-size-fits-all. Consider your child’s height and weight when considering which pogo stick to purchase. Find one that your child can grow into. Consider testing it out to make sure the spring isn’t too rigid. Most manufacturers offer distinct age, height, and weight limits to help guide your purchase. Keep your eye out for important safety features such as foam padding, padded handlebars, rubber tips, slip-free foot pads, and fully encased springs. Pogos are fun, versatile toys, but they require skill and coordination. Helmets, kneepads, elbow pads, and closed-toe shoes are prescribed safety gear when getting your bounce on. For newbies, colorful foam encasements offer an even more sound spring and help establish confidence during early experimentation. Nowadays, air compression chambers bring new energy to the pogo experience. Lifting riders well off the ground and launching them into the air. Of course, if you’re not into high altitudes and cloud surfing, this style of pogo may not be for you. Finally, shock absorbing, rubber caps or donuts are a small but integral piece of pogos. They make for a smoother ride, less noise, and improved friction. Thus, don’t forget to examine the head of your pogo before making a final purchase. Inaugural jumps on a pogo can be a bit intimidating, but the following pointers put you well on your way to landing that backflip… or at least help you pull off a few consecutive jumps without bruising your bottom. Begin by bouncing once on the stick, and then land on your feet. Finding the right balance can be difficult at first. Slowly work your way up to multiple jumps. Tilt your knees inward and wrap them around the stick. This helps keep the device from traveling away from your body. Likewise, pull the handlebars inward when the stick slopes forward. When you begin to tip, just jump in that direction. Your body should always be leaned over the top of the pogo stick, never behind. Use your legs to pump the spring and follow the natural arch of your jump. Have fun! Remember, even professional pogoers make mistakes. It takes time to develop the coordination and strength it requires to land sick tricks and defy gravity. Stick with it (pun intended), and your efforts are sure to pay off. Believe it or not, most children have no difficulty hopping and staying on a pogo stick. In fact, it’s really the adults that we have to worry about. Once you nail the pogo stick basics, you can move on to building endurance and learning sophisticated stunts. To start, keep track of how many consecutive jumps you can make and work on improving your limit. Or, use your pogo stick to navigate a challenge course, relay race, or timed hop-a-thon against a fellow pogoer. Familiarize yourself with basic tricks, using videos and instructions to dissect them into attainable parts. Start with barspins, grabs, and no-handers. Once you’ve mastered these, you can move on to more complicated feats, like the “Buddha into one foot”, the “backflip dismount”, or the “jump-rope slam dunk”. After careful consideration, we’re happy to announce that the Flybar Foam Master Pogo Stick is our top pick. While parents will savor the added layer of protection provided by the foam padding and spring encasement, children will relish the seven unique color schemes. While Flybar is the original manufacturer of pogos, it has maintained its position as an innovative and reliable mainstay in the world of pogo sticks. We hope you enjoyed our mini guide to pogo sticks and our tips, tricks, and reviews bring you one step closer to getting your bounce on!